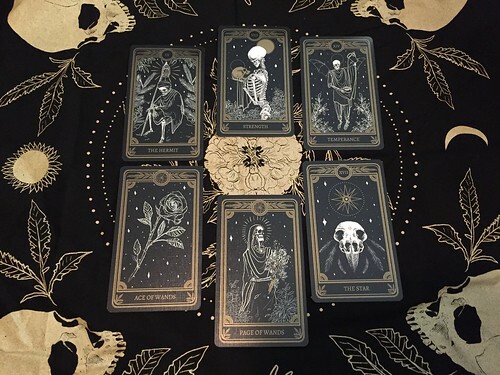 As always, I like to use Beth Maiden’s Deck Interview Spread, which you can find here. The Hermit shows up again! It showed up in my deck interview with the Ethereal Visions deck! I love that the message is a little different here, though. The most important characteristic of this deck is the deep introspection that can be found. 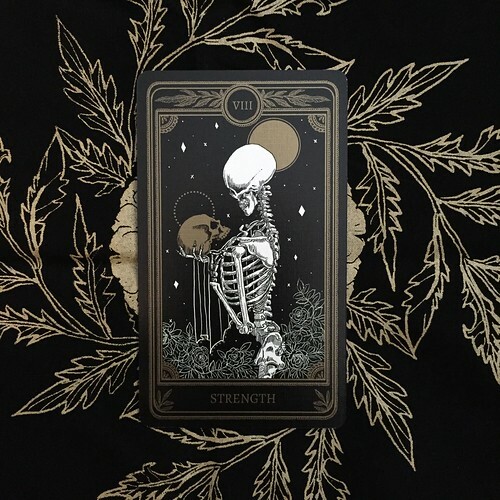 I’ve done some pretty intense daily pulls with it on my Insta and it is very shadowy – in the best way possible. There’s something about the solitary journey through the shadows that feels safe. It’s almost as if this Hermit is offering a hand to me, to assist me through my own shadows. Strength as a strength! I love it! 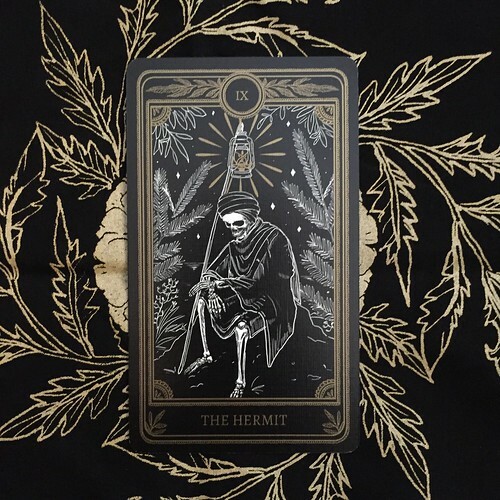 Since The Hermit is here to help guide me through the shadows, the strength of the deck is to have compassion for the messages that come up. They might not be warm and fuzzy but I can approach them that way. It is also a very subtle push forward, through the fear. This is tarot tough love at its finest and I am here for it! My old friend, Temperance. This card shows up for me A LOT. Like, in almost every reading my friend does for me. It’s funny with this as a limit for the deck because you’d think balance is key, as it is with most things. What I channeled with this is not to rush through anything. 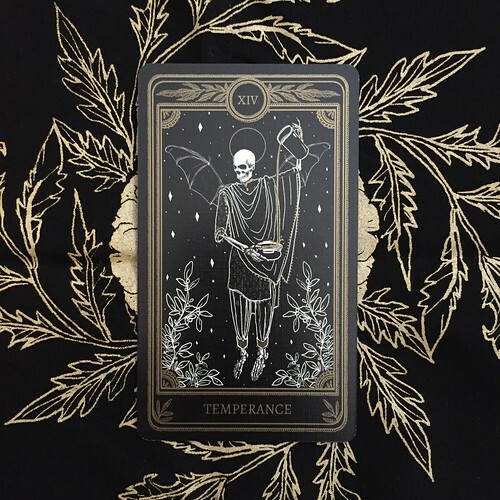 While Strength is urging me forward, Temperance is giving me pause, which could be good but also extremely limiting. As a Libra, I could take this as permission to pause for…basically forever overthinking what the strengths have urged me to do. But I need to remember to stay fierce and keep moving forward. What are you here to teach me? 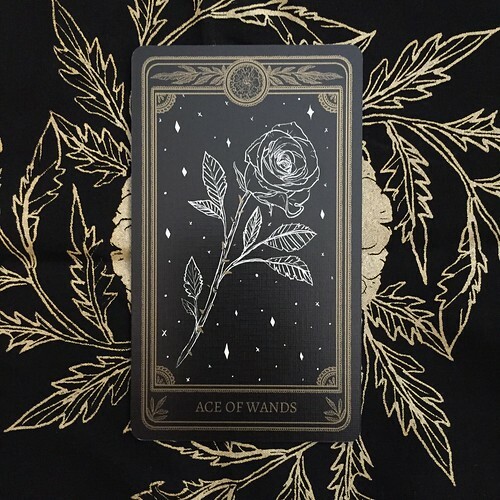 Ace of Wands It’s so funny! This card showed up in my deck interview with the Ethereal Visions deck, too! I love this version of the Ace of Wands because it showcases the beauty in creative expression. One of the things I wrote down was “courage to chase the spark”, which is so important to me now. With all of these brave cards showing up, there’s this beautiful lesson about what it means to have fun when pursuing pure passion. Chase the spark? Don’t mind if I do! I love it! 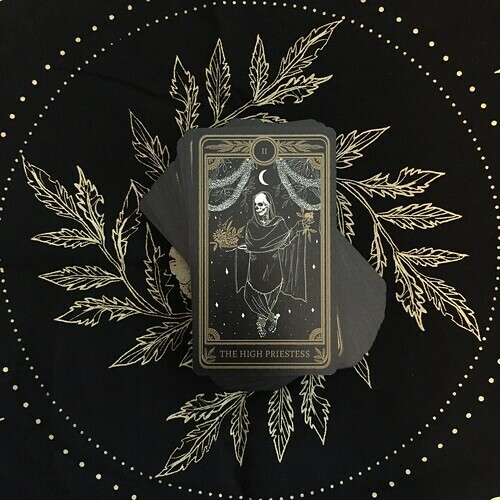 The personified version of the Ace of Wands, but on a deeper level! This speaks to me about being open and curious to everything. Approaching things with an almost child-like wonder so that things feel more open and free. I also feel that with a perspective like this, there is more excitement and more room to explore. I can feel such a powerful collaboration with this, especially for Shadow Work. If I approach more shadowy topics in this way, the work might not feel so heavy. Ah, The Star! It’s such a wonderful card! The message is so soft and gentle, yet so encouraging and strong. As a potential outcome, I feel that this really lends itself well to Shadow Work because it symbolizes that light at the end of those shadows. It’s so full of optimism, it has such a rejuvenating quality. 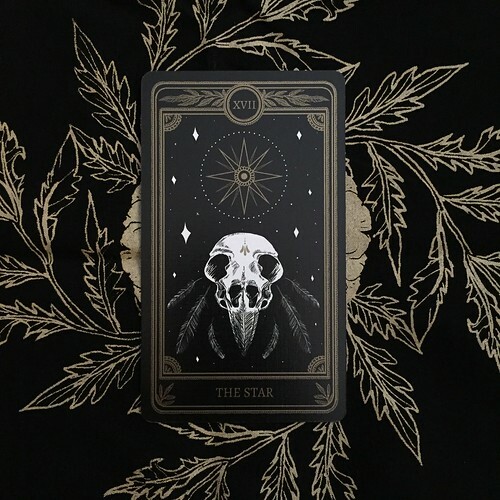 Sometimes, I have a tendency to get bogged down by the heavy stuff Shadow (or tarot tough love) work reveals but The Star is calling back to the kindness of The Hermit from earlier. It’s almost as if you could say the light in The Hermit‘s lamp is actually The Star, as they work together to help me wade through the heaviness that might appear. This is a very special quality and I am super grateful for it! 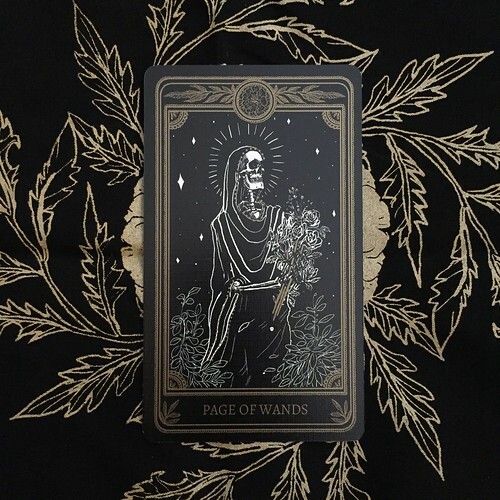 I wasn’t planning on using this deck with clients too much because the artwork – which I love – might be too much but the more I spend time with it, the more I love the messages that have come through so far! This deck is powerful, thoughtful, and beautiful. It has a wonderful energy and really is a joy to work with. 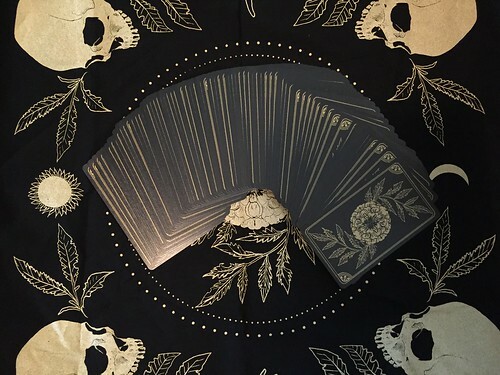 Do you own this deck? If so, how is your experience with it? I’d love to know!